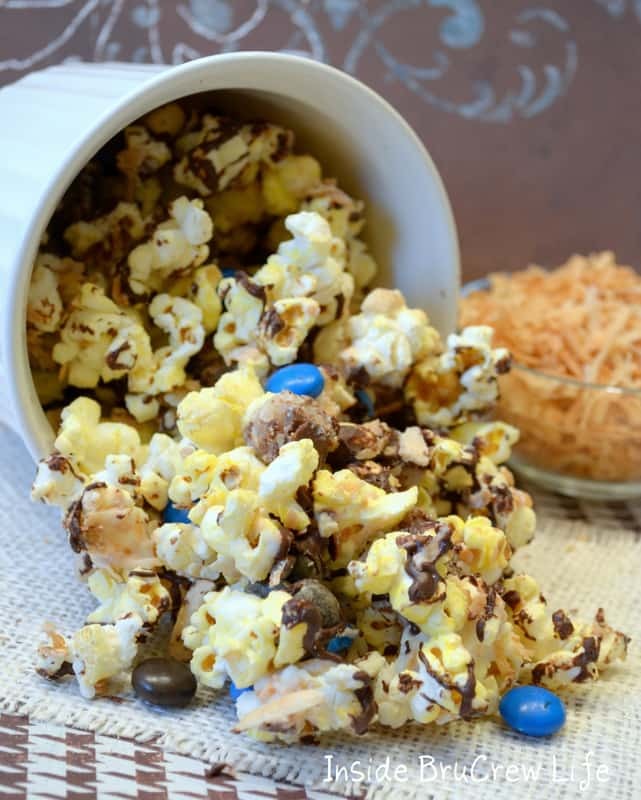 This Nutella Popcorn is the perfect movie night snack. You won’t be able to resist eating this sweet and salty treat. 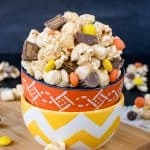 Last week my husband asked me to make a sweet popcorn munch for one of his church meetings. He knows I love making popcorn munches. I’m sure you have noticed how obsessed with fun popcorn I have become. 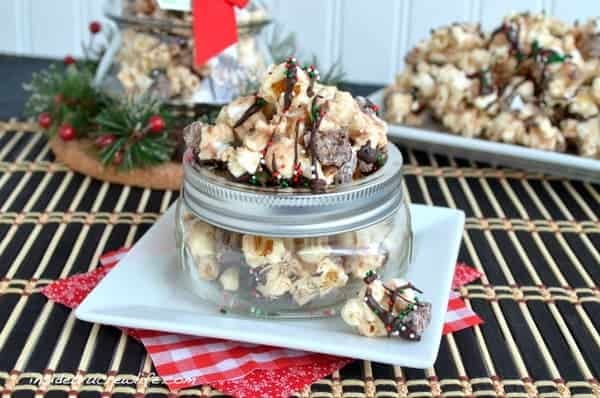 Have you seen this Reese’s Popcorn, this Coffee Toffee Popcorn, and this S’mores Popcorn. Yeah, I love creating (and eating) fun new popcorn. I decided to cover this popcorn with a healthy coating of white chocolate and Nutella and some salt. I couldn’t stop eating handfuls of this while it was in our kitchen. Something kept drawing me back to the bowl for more and more. And for research purposes, I just kept munching. 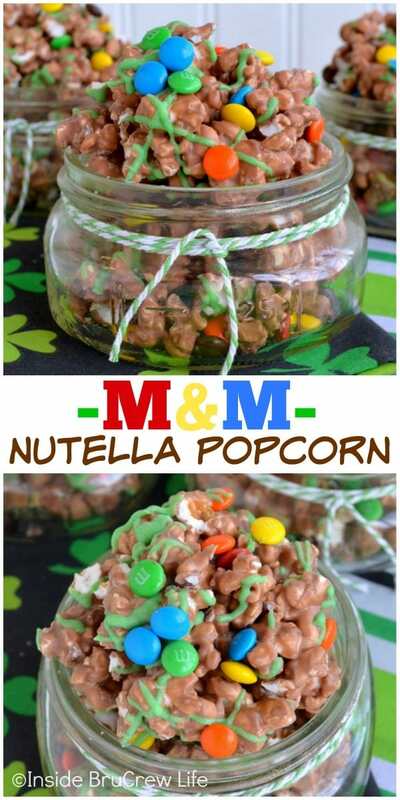 This Nutella Popcorn is magical I tell you! 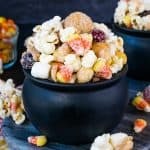 I love a good sweet and salty treat, and this popcorn has both covered. The salt helps balance out the super sweet coating and M&M candies. I love how the candy gave it a fun and bright pop of color. This would be the perfect snack for watching the Oscars this weekend. You might want to make a double batch if you have anyone else watching with you. I know we will be munching the night away. 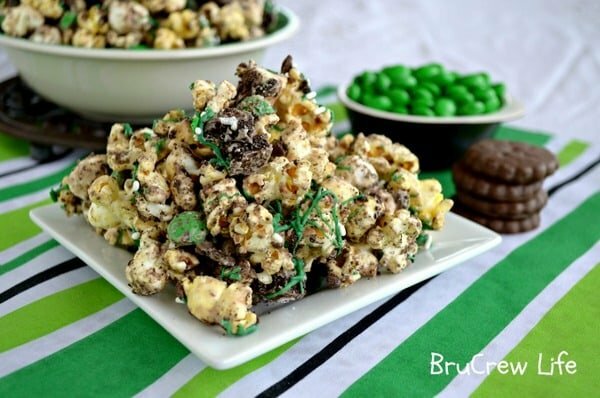 This popcorn would also make a great St. Patrick’s day treat. Yes, I know Valentine’s just ended, but I was over the pink and red, so of course I thought of the next holiday. 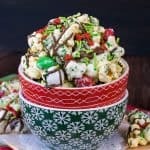 The best thing with this popcorn is that you can tint that extra drizzle of chocolate any color for any holiday. The M&M’s can be changed out for the different holidays too. I just happen to love those plain mini M&M’s…and it’s what I had in the cupboard that day. 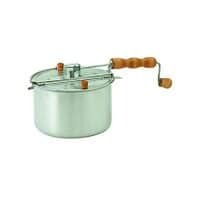 If you are giving this away for St. Patty’s Day, place it in clear plastic bags or jars and tie with a ribbon or some green twine. Thank you Pick Your Plum for keeping me supplied with fun twine colors. 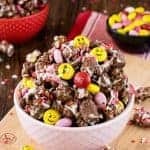 Game nights and marathon movies are the perfect excuse for making this big batch of Nutella Popcorn. Really it is a good snack any day or time of the week. 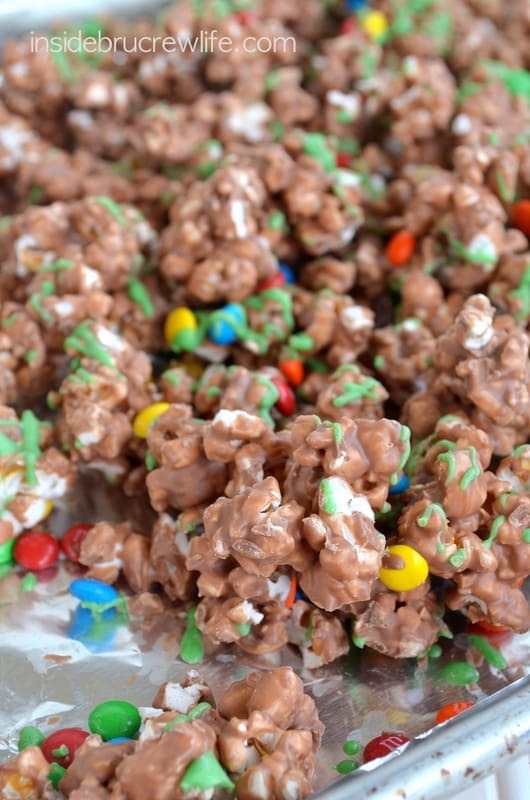 This easy Nutella popcorn gets a fun sweet and salty twist from the salt and M&M's mixed in. Place the popcorn in a large bowl. Melt 1 cup candy melts according to the package directions. When melted and smooth, stir in the Nutella. Stir until melted and smooth again. Pour over the popcorn and toss until completely coated. Place popcorn on lined baking sheet. 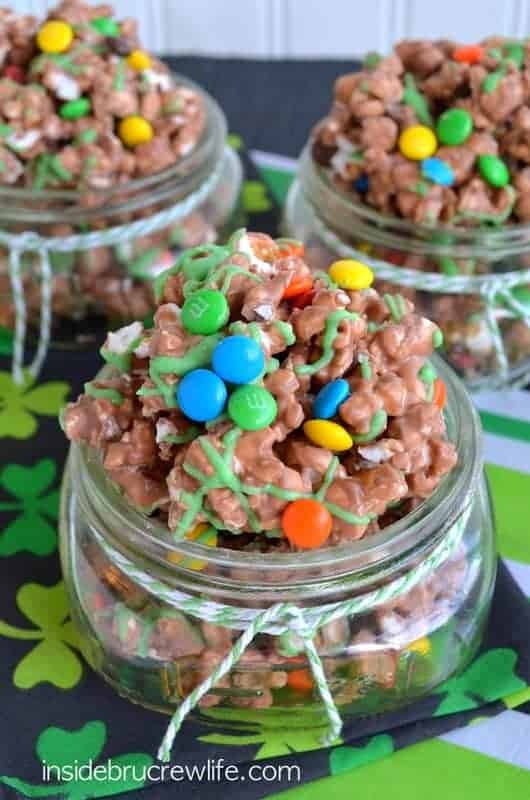 Sprinkle with salt and 1/4 cup M&M's and toss again. Let set in refrigerator for 5 minutes. Melt 2 Tablespoons candy melts and add a drop of green gel food color to the melted chocolate. Stir. Repeat if you want a darker color. Place in a plastic bag and cut the tip off. 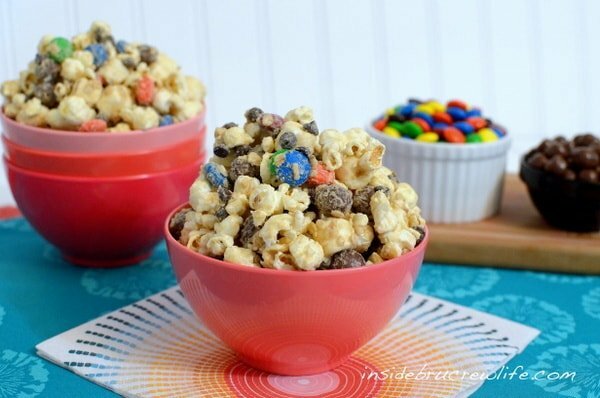 Drizzle over set popcorn and sprinkle with the other 1/4 cup M&M's. Let set. Store in a sealed container for 3-5 days. Makes 8 cups. Looking for more sweet popcorn to munch on? Excuse me while I pin this deliciousness…Ok, now for what I came here to tell you! 🙂 I’m thrilled to let you know that I’ve nominated you for a Versatile Blogger Award!! 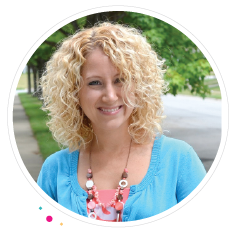 You can check out the post where I nominated you, linking to your fabulous blog, at: http://chattingoverchocolate.blogspot.com/2013/02/receiving-and-bestowing-honor-of.html …Congrats! Have a terrific night, Jocelyn! awe thank you so much Brenda!!! Ummm – you did package up some of that goodness to send my way right??? 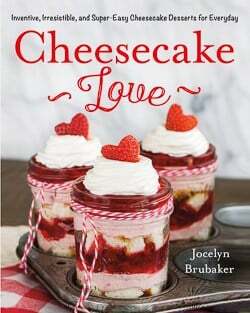 Heavens Jocelyn – it looks like I could just eat it right off the screen. YUMMY! 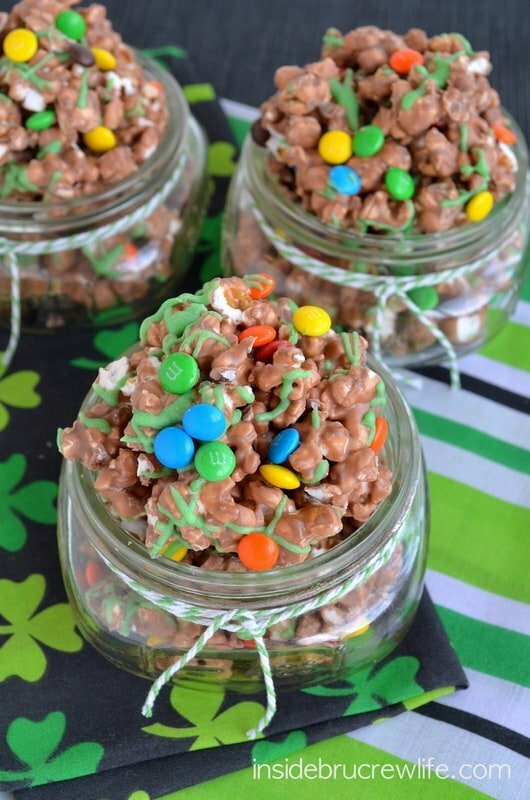 Nutella covered popcorn? How can you resist?! You can’t, thats how. You are absolutely right! You can’t resist this goodness!!! This looks so delicious! Popcorn is such a great snack! We would love for you to link it up with us at our Wednesday link party! This popcorn addiction that I have is getting bad! I’m glad you are just as addicted!!! 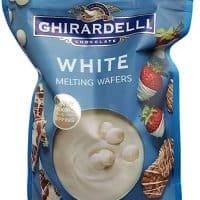 Best line in this post — “healthy coating of white chocolate and Nutella.” That’s the kind of healthy I like!! It was so hard to stop and send it away! I think popcorn just made my to do list again too!!! Yum! This looks delicious! We will try this as a treat soon! Believe me, you won’t regret it. I need to make more too!!! All if your popcorn cluster flavors look so very yummy!! I’m going to a retreat next weekend and want to make some for everybody! Thanks Leslie. Popcorn is the perfect snack to share with others. I can’t wait to hear which one you make and take. We love popcorn, but I have never put ANYTHING on it. I have no Idea why, I have had ideas, but never followed through with them. This I have to try! Ok, girl, you need to start covering that popcorn with some yumminess!!! You won’t regret it! I am obsessed with popcorn munches as well. Love your collection! It is good to know there are others as obsessed with popcorn munches too!! 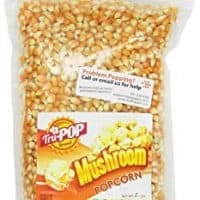 You make the best popcorn snacks!! can I live with you? I am right there with you and the growing snacking problem…I also have a growing weight problem that comes with enjoying all these yummy treats! This popcorn looks amazing, Jocelyn!! How did you have any left to send with him?? Anything with nutella is a pretty much guarantee that I’ll love it. 🙂 NEVER had it with popcorn though! amazing! 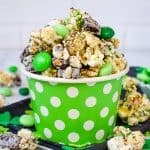 This is some seriously delicious looking popcorn! Can’t believe you combine white chocolate AND Nutella! Oh my, of course you couldn’t stop eating it! How could anyone NOT eat this! This looks soooo crunchy, sweet, and delicious! 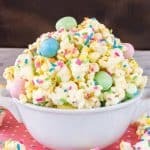 The covered popcorn recipes I have tried before all get soggy by the next day. I can’t figure out why you can buy caramel popcorn in bags at the supermarket, but my homemade caramel corn is a sticky mess the next day. I will definitely give this a try! I’d love to be able to mail some of this deliciousness to my son at college. the fact that my husband is allergic to nutella is a tragedy beyond words 🙂 i’ll just have to make this for a girl’s night or something! Oh my goodness, I am dying- this sounds seriously amazing! Pinning this for sure! Oh how awesome. I am craving this right now. I could easily eat an entire batch. I think I hate you just a little bit 😉 Good thing I gave up Nutella for Lent! It is easy to eat the whole batch! Good for you and giving up Nutella, I’m not sure I could do that!!! I agree with you…double deliciousness!!!! Thanks girls!!! It’s great your husband actually asks for things…mine is like pulling teeth. At least he eats whatever I made but I’d love some direction sometimes. Especially if it included Nutella and white chocolate in the directions! Actually my hubby doesn’t ask for things too often either, so when he does, I jump all over making it! He isn’t that into sweets, so he doesn’t really ever try the crazy things I make. This is a great recipe. I am saving it to make latter! My son is addidicted to nutella! I make him peanut butter and nutella sandwichs for his lunch! Too funny…my son just came home from school saying he had to have a pb and nutella sandwich. I’m thinking your son is going to love this popcorn!!! Some of each of these popcorns would be a very good thing indeed! Thank you Ruthie. This is seriously dangerous! An Oscar must-have for sure… thank you! Such a genius idea! Love the flavor combo! You are the fun popcorn queen! 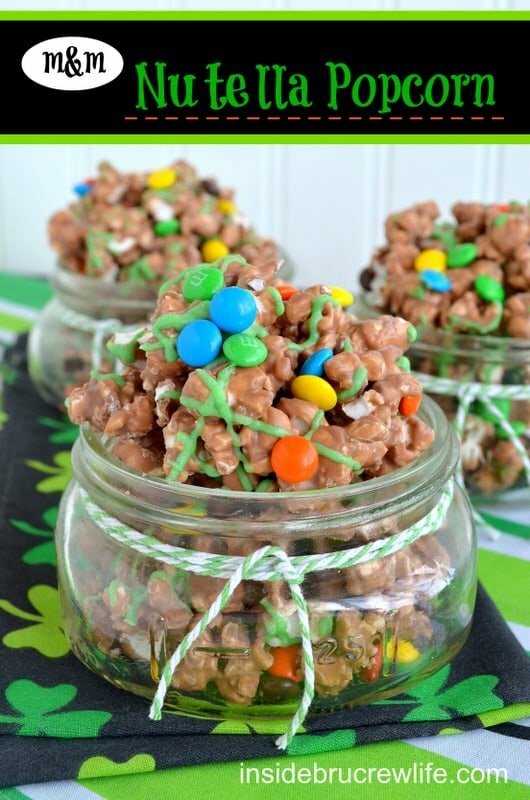 My daughters class would love this up for St. Patty’s Day! This looks delicious!! Can’t wait to try this. OOOH Yummm! I cannot wait to try this. Nutella and M&Ms…two of my favorite things! Oh my…what better mixture of deliciousness could there be? Pinning! Mmmm. I need to go buy a jar of Nutella! Congratulations on being featured on Strut Your Stuff Saturdays at Six Sisters’ Stuff! I am a new follower. You need to start a “gourmet-popcorn-of-the-month-club” or something like that. I’m going to the store later and I think white chocolate, popcorn and mini M&M’s just appeared on my shopping list! I still have this sitting in front of me to make LOL – one more question. Do you use the M&M baking pieces?? Or actually M&M’s?? Does it matter? I have no idea what the difference is. Oh yeah, now that I’ve actually read the recipe — it doesn’t go in the oven hahaaaaa. One more question then I promise I will make it & leave you along — is CandiQuik just the melting candies, like Wilton’s?? I think I only have white chocolate chips — would those work? Yes, CandiQuik is a melting chocolate. You could use the white chocolate chips too, they just don’t set quite as hard as the melting chocolate. It will be ok though! I hope you like the popcorn!!! How do you manage to stay so slim while baking all this yummy goodness? I need to know!!! This recipe sound really good. I have a question. What is Candi Qui. Is it like white chocolate or almond bark? Thanks! It is a brand of melting chocolate. You can buy it at Walmart and most grocery stores in the baking aisle. Refrigerate for 3-5 days? Or is that just the shelf life after made? You only need to refrigerate this for 5 minutes to set the chocolate. I usually store ours in a ziplock bag on the counter for a few days. It never lasts very long though!